NEW MODEL! RRP: £91.62 (+VAT). SAVE £25! 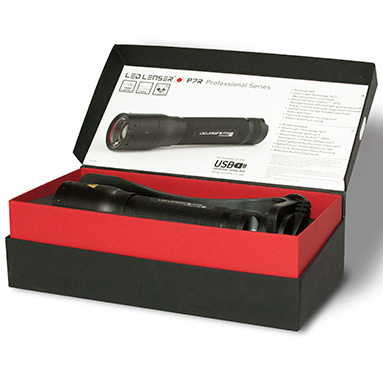 LEDLENSER P7R Professional Series Rechargeable Torch - In Gift Box. Smart Light Technology (SLT) - microprocessor controlled. Homogeneously lit area (unfocused) / Sharp, laser-like long-range beam (focused). Speed Focus - single-handed spot-flood beam selection. Fast Lock - stepless focusing lock. 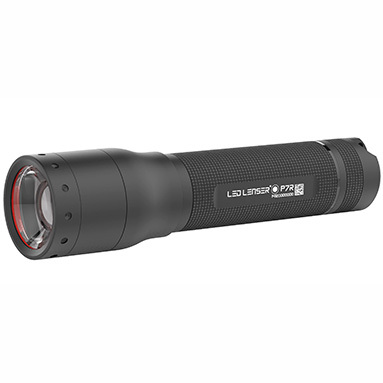 1000 Lumens brightness (in Boost mode). 210m range (in Boost mode). Up to 40 hours burn time (in Low Power mode). In presentation black gift box. Includes: 1x Li-ION rechargeable battery, USB charging cable, carry pouch, wrist strap, fixable stand with screws, user guide & warranty card (7 year manufacturer's warranty).